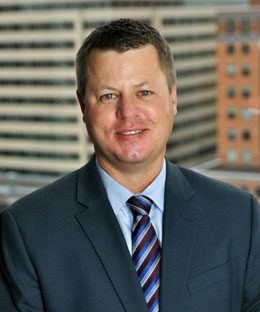 Matt Sloneker is a shareholder with Lind, Jensen, Sullivan & Peterson. Matt strives to provide his clients with aggressive and enthusiastic representation in order to resolve disputes quickly and in a cost-effective manner. He defends clients in a wide variety of civil matters, including personal injury, professional liability, construction defect, liquor liability, and products liability. Matt has co-authored several publications, including Investigating and Defending Minnesota Civil Damages Act Claims, a practical guide for investigating and defending claims arising under the Minnesota Civil Damages Act. The desk book is a valuable resource for insurers, liquor vendors such as bars and restaurants, and attorneys defending dram shop claims. As an active member of the Minnesota Defense Lawyers Association, Matt served as the Co-Chair of the Construction Law Committee from 2011-2013 and has presented as several MDLA conferences. Matt was elected to the Board of Directors of the MDLA in August of 2015. Matt is a graduate of the University of Minnesota Law School and has been named a Rising Star (2012) and Super Lawyer® (2013-18) by Minnesota Law & Politics. He lives in Dayton with his wife and their two young children. Recent Decisions in Construction and Insurance Coverage Law, presented to the Minnesota Defense Lawyers Association Mid-Winter Conference, 2013. Experts in Cases Involving Built Facilities, presented to the Minnesota Defense Lawyers Association Mid-Winter Conference, February 2, 2014.